I'm asked on average once a month about the best place to buy classic good quality black ballerina pumps and up until late August, I really didn't have a recommendation I could stand over. I was wearing a pair I bought early last year (from a company that is no longer in existence) that served me well but needed replaced and I was on the look out for a well priced leather pair that would give support to the foot, without sacrificing on style. As you all know, my back is an ongoing issue for me. 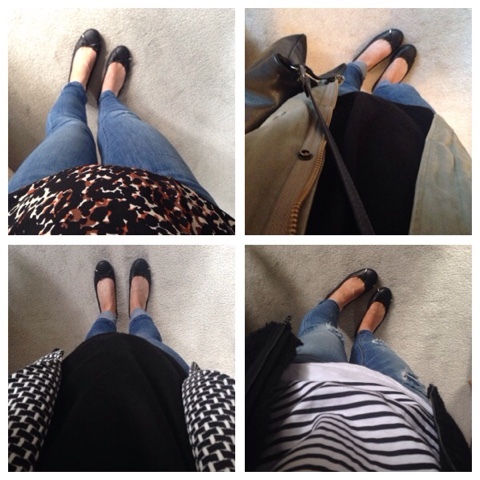 It's manageable at the moment but if I wear very flat or unsupportive shoes for a day, I pay the price the next. I'm not saying a pair of shoes alone will fix a serious back issue but a small amount of shock absorption and a slight incline in the heel will definitely reduce the impact of each step on your joints. 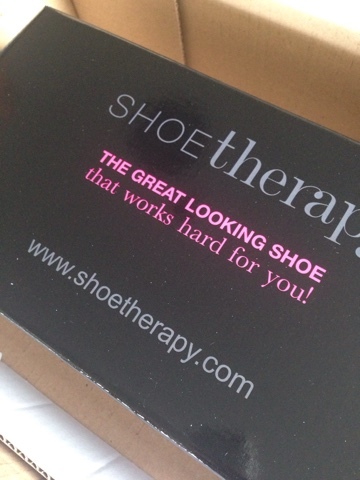 What impressed me the most about the ShoeTherapy offering though is the price point. They're not cheap - no good footwear is cheap. But they are very much affordable....exactly at the kind of price I would want to pay for something I wear so often (my last pair were £65 but the price per wear was definitely in single pence figures by the time I retired them). Oh and there's a discount code for all readers of the blog - scroll down to find it! When I opened the box, I could tell they were going to be comfy. On advice from the Shoe Therapy team, I opted for a size 7 and although the 6 may have just about fitted, they would have been a bit tight on my wider foot. Any concern that I had about the sole looking a bit 'orthopaedic' was swiftly removed once I put them on as it's impossible to tell that they have that bit of bounce in them, once you are wearing them. 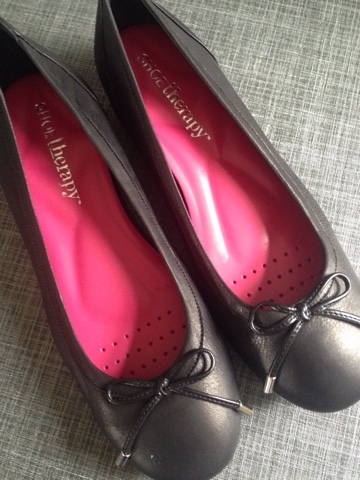 But ShoeTherapy is not only about basic black ballet flats - they have a great range of pumps and loafers...in lots of gorgeous colours and prints. All with built in support for the foot and joints. 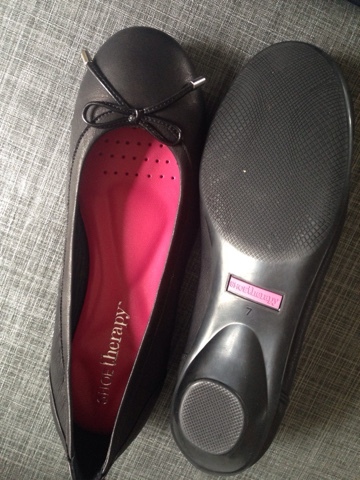 Bravo ShoeTherapy - so delighted to find this brand and share with you all and I've saved the best bit till last - there's 15% off for all School Gate Style readers. Simply use the code SHOE15 at checkout! Disclaimer - the shoes were provided free of charge by Shoe Therapy but I was not paid to write this post. All words (apart from those I cut and pasted from the Shoe Therapy website) are my own. Thank you for supporting the brands that support this blog. So glad you told me about this company. I've been on the search for flatish comfortable work shoes and can find nothing suitable even in Clark's. Will check it out.